We are all a collection of our cognitions. Our beliefs, life experience, and opinions shape who we are. They also allow us to become sources of knowledge and inspiration for our peers. This makes peer-based eLearning feedback a powerful addition to ANY eLearning strategy. The question is: How do you facilitate the process in your eLearning course? Here are 8 unconventional and creative ways to promote peer-based eLearning feedback. Many eLearning professionals are already gamifying their eLearning course designs. However, you can also apply the same principles to your peer-based eLearning feedback system. Certain online learners may be hesitant to give and receive feedback. Earning points or badges might prompt them to actively participate. Develop guidelines beforehand so that online learners know what to expect. For example, let them know that they can collect 5 points for leaving feedback on a blog post. Or 10 points when they fill out a feedback questionnaire after an online group collaboration activity. Most people sigh or roll their eyes at the mere thought of online group collaboration. That's because it has a boring connotation. They imagine themselves sitting in a circle with their peers, acting out a role play or talking about compliance issues. But you can make online group collaboration engaging and exciting. All it takes is a bit of intrigue. Give your online learners a problem or mystery that they must collectively solve. For example, a real world case study or story. After they arrive at the solution, give them the chance to fill out a feedback survey or discuss their opinions. For instance, highlighting the strengths of each group member or key issues that hindered the group's productivity. Ask online learners to start their own eLearning blogs and provide you with the link. Then compile the URLs into an online resource list and share it with your online learners. After everyone has set up their eLearning blogs and customized the layout, send them a blogging schedule. The schedule should feature a new topic each week, preferably ones that encourage online learner reflection. Set a deadline for each prompt and then invite online learners to visit other blogs. In fact, you might consider making it mandatory. For example, everyone must visit at least 5 blogs each week and leave feedback in the comments section. Have them keep a log of the sites they have visited so that you can verify their posts. This also gives you the chance to track feedback and identify areas for improvement. There are two approaches to this peer-based eLearning feedback technique. Both of them begin with the online learners participating in a branching scenario or simulation as they normally would. In blended learning environments, their peers could simply observe them as they complete the task. In online environments, it gets a bit more involved. The most effective route is using a screen recording-casting tool that allows online learners to capture everything on the screen. Then they simply upload the video and invite peer-based eLearning feedback. Peers can highlight mistakes and help them improve their performance, even if they are miles away. Encourage online learners to upload work examples to their blogs, sites, or eLearning portfolios. Then invite their peers to view the online content and discuss it at the eLearning forum. They can even keep this eLearning portfolio active after the event and use it to land their dream job. The peer-based eLearning feedback gives them the opportunity to fine tune their online materials and improve their work. Just be sure to post forum guidelines so that everyone knows what to expect and respects others' opinions. Let online learners develop eLearning materials and present them to the virtual class. They step into the role of instructor and have the opportunity to improve their own understanding. You can only teach a subject if you know it inside and out. After they present their eLearning materials, peers are able to provide eLearning feedback and suggestions for improvement. For the sake of organization, break larger audiences into small groups and assign each a topic or idea. Pair online learners up with an experienced mentor and invite them to provide mutual feedback. The mentor can help the mentee to develop their skills and knowledge, while the mentee can offer suggestions on how to improve their instructional style. Both parties bring unique traits to the table. As such, it's the ideal way for giving and receiving valuable peer-based feedback. Conduct surveys, interviews, and assessments before you assign online groups. Ideally, online learners should be teamed up with those who share similar interests or goals. Invite small groups of online learners to attend an exclusive eLearning webinar. During the live eLearning event they are able to share feedback and ask questions. You can even provide a list of topics beforehand and ask them to view the eLearning portfolios of their peers. That way you'll have plenty to talk about and everyone gets to offer their input. Follow up the eLearning webinar with interactive activities, that enhance problem-solving skills and promote online collaboration. This also fosters a sense of community, which helps them open up during the eLearning feedback process. The secret to a successful peer-based feedback system is willing participants. 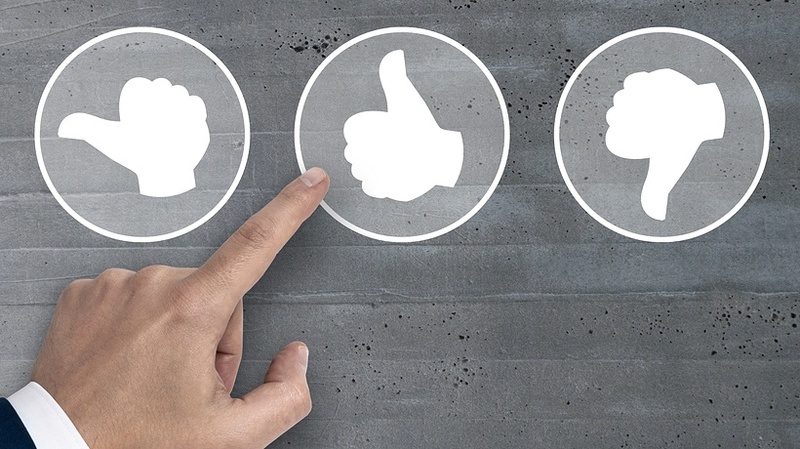 You can use these 8 tips to make the eLearning feedback process fun and engaging, which increases online learner motivation. Also, be sure to frame this with a collaborative learning culture so that giving and receiving feedback is the norm. Looking for additional ways to create an effective eLearning feedback system? Read the article 7 Tips To Create An Effective Constructive Feedback System For eLearning to discover some useful tips to develop a winning constructive feedback strategy for your eLearning course.